- Trudy is amazing!! She found my dream home and made my dream came true by fighting for the best price for me to purchase it. She is hard working and available 24/7. I highly recommend her to anyone looking to buy their first or 3rd house!! - Trudy was available whenever I called her. I felt very confident in all transactions and showing. She was always there for me. Thanks. - Trudy was extremely helpful and was always around to help from start to finish. She always made herself available to show us homes and put in the work to make scheduling the showings happen. Could not have asked for a better experience! Thank you Trudy! 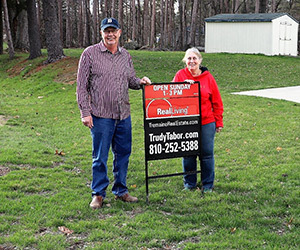 - Trudy went above and beyond to find the perfect home for me and my family. She was very flexible with her schedule and was able to accommodate on a moment’s notice. 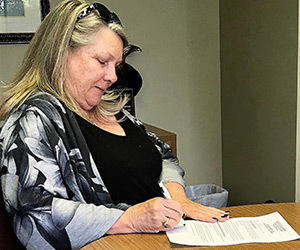 I was able to purchase my home for less than asking due to her negotiating closing costs and extra fees that would have normally came out of my pocket. -Trudy is the best realtor agent, she sold our home in Flushing in less than a week, she sold my aunt’s house that was on the market for a long time after she took it over and our son bought a house from her in Clio. Our family and friends have her on speed dial for all their real estate needs. Trudy is good at what she does, she comes highly recommended! - Trudy was recommended to us by our daughter, who had an occasion to use her services previously, and just as was stated, Trudy was a fast mover and was very quick to respond on anything that we needed help with. She always kept her word on whatever she said, even down to closing dates, that some said would never happen that fast. She sold our home very quickly and helped find us another home in plenty of time. We were very satisfied and would highly recommend her to others. - Trudy was great to work with! She was there every step of the way! She always kept me informed and was on the ball at all times!! I highly recommend her!